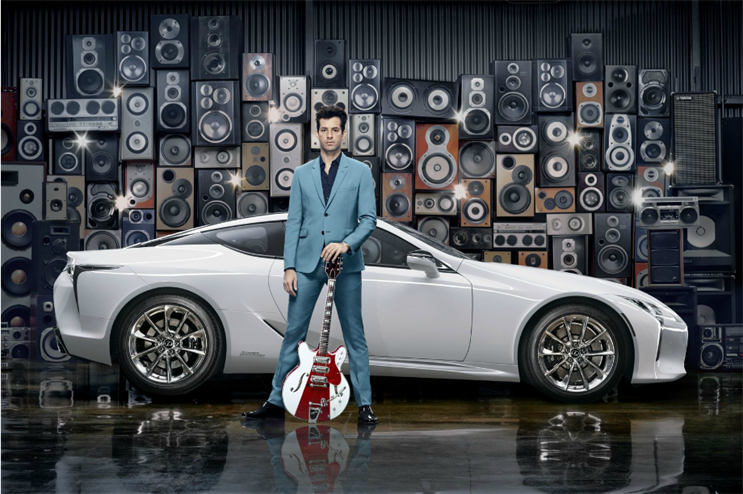 Automotive brand Lexus has partnered with musician Mark Ronson for the brand's 'Make your Mark' campaign, which will feature a series of experiences. The collaboration with Ronson aims to continue Lexus' ambition to create customer experiences which draw inspiration from the world's of music, art and technology. 'Make your Mark' will follow on from the brand's 2015 campaign with Jude Law which gave guests the chance to attend an immersive theatre event. Consumers will be able to become part of the campaign over the next six months, through content and a number of experiences. Alain Uyttenhoven, head of Lexus Europe, said: "Mark Ronson is an iconic music producer behind some of the biggest hits of the decade and we couldn't have thought of a better collaborator for the 'Make Your Mark' campaign. The Lexus LC symbolises the beginning of a new phase for Lexus, which is all about creating greater synergy between engineering and design. Who better to work with on this than Mark - a man who has made a significant contribution to the world of music through his incredible performances and collaborations." Last month, Lexus launched a pop-up at Westfield London, which invited guests to discover the brand's expressive design.